Monday April 4thIt’s the day before what is traditionally the most important sale of the year – the Inglis Easter Yearling Sale. I’m up early and pop in to the complex with the lads at 5.30am to have a look over the horses before a quick stint in the gym and a swim – a great way to start the day. In the insular world of thoroughbred breeding, this is a tense time. The international buying bench generally makes a significant contribution to this sale and the weaker dollar means it’s going to be as important as ever, but it can be hard to gauge the likely level of the international participation in the days before the sale. The average last year was in excess of $290,000 and the cautious expectation is of an increase this year in line with what has been an incredible sales season so far this year. Inspections have been solid, not spectacular and the feeling seems to be that while there are lots of nice horses around, there will be value to be found in the middle market. The first lot through for the Coolmore draft is a beautiful So You Think filly who seems to be on just about every list for second looks which isn’t surprising given how well perceived the stallion is. A good start is so important from the point of view of establishing confidence for the rest of the sale. The day is rounded out by discussing the individual horses with the team, some calls and emails to clients and then the pre-sale cocktail party. The latter is always great fun and this year is no different, with the iconic Bondi Beach a perfect setting. Tuesday April 5thSale day has arrived and it’s a beautiful morning. The clearance rate through the ring is a little shaky early on. This is understandable as there traditionally tends to be some jousting between vendors and purchasers in an effort to establish a level for the market during the early lots. Vendors bring their best horses to sales like this and (justifiably) feel the need to demand a premium for their best products. Gerald Ryan sees off a host of underbidders to buy the So You Think filly (pictured from Russeting) for $430,000 just a few lots after the first million dollar lot of the sale, a colt by Fastnet Rock. That colt, a full-brother to Bull Point bred by Mrs Bateman, had been touted as a star lot once inspections had started. No doubt his popularity was boosted by the fact that 2 sons of Fastnet Rock have sired G1 winners this year and he has stallion prospect written all over him. Hopefully he’ll be lucky for Coolmore and our partners and do enough to earn a spot on the stallion roster in a few years time! At the end of the day we get together for the annual sales dinner with the yearling team at La Spiaggia in Coogee. There’s a hell of a lot of work that goes in to prepping yearlings and credit to William O’Connor and his team, they have them pitch perfect for the sale. Our guest of honour for the week from Cambridge Stud in New Zealand, Julian Corban, treats us to a passionate speech about how much he is enjoying his week, while Roger O’Byrne sings the house down after dinner to the delight of everyone in the restaurant! Wednesday April 6thIt’s going to be a manic day with 18 lots from the draft going through the ring. 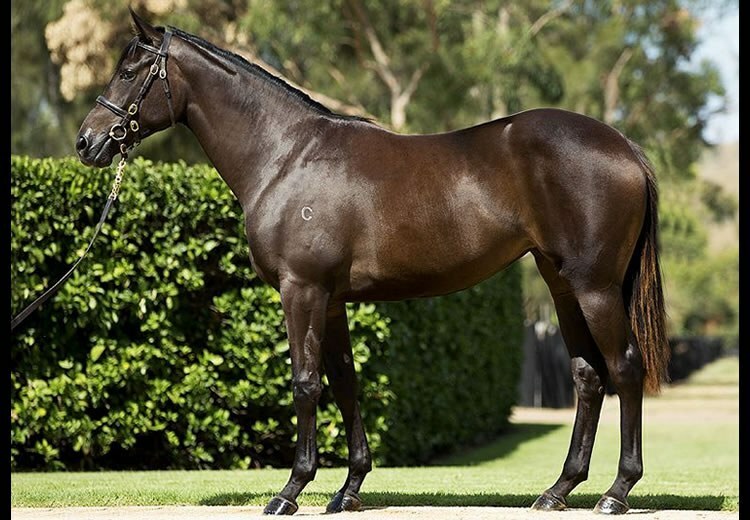 The Fastnet Rock – Hips Don’t Lie filly has always been a bit special and is something of a sweetheart to the team on the farm, so it’s great to see her sell so well, making $1.1m to the bid of Damion Flower and Markus Jooste’s Nordic Breeding & Racing. Her sister Lake Geneva ran placed in both a Blue Diamond and a Golden Slipper, so it won’t surprise to see this filly in the early two year-old races next season. It seems that Gai Waterhouse has come to the sale with the express intention of adding plenty more Pierro progeny to her stable. I count at least 5 that will be joining her from the last couple of days, as well as those joining the likes of Peter Snowden, Chris Waller, Gerald Ryan and Anthony Cummings. It’s probably a bit early to be discussing markets for leading first season sire 2016/17, but if they were to open one tomorrow, I’d want to be backing Pierro at any price based on what I’m hearing around the place. Thursday April 7thThe last day of the sale and it’s a bit of a strange equation with only 60 lots from the main session catalogued and the remainder being Easter II horses. I’m sure the prospect of condensing the Easter catalogue further to a 2-day select sale has been discussed many times within the walls of the Inglis offices. Admittedly trade on Thursday did start strongly with Louis Le Metayer going to $750,000 for a Pierro brother to Criterion, no doubt buoyed by the positive early reports from the breakers about the colt by the same stallion that he purchased at the Magic Millions in January. At the close of the main session the figures make for interesting reading. The underrated Choisir has had a great sale having enjoyed a typically good year thanks to the likes of Japonisme and Defcon. His 5 yearlings sold through the main session, from his 11th crop, averaged $320,000, with a pair breaching the $500,000 mark – great recognition of his quality as a sire. As has been the case all year, the demand for the best horses is through the roof – long may it continue! On a more sombre note, the news of the passing of Phil Sly, which filtered through mid-morning, was met with grief by all who knew him. He was an amazing man in so many ways and he took enormous pleasure from his horses. He will be sadly missed. Friday April 8thNo early start today – it’s been a long couple of weeks! I review of the back pages of my dishevelled catalogue, which reveal no blank space whatsoever. 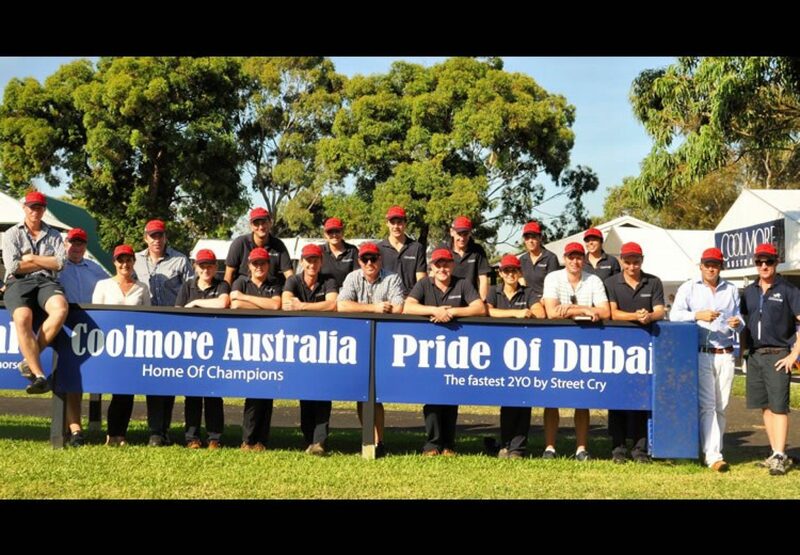 They are full of breeders’ names all expressing an interest in Pride Of Dubai who is new to our roster for next season. However good he looks in the great conformation shot taken of him recently by Georgie Mitchell, he looks better again in the flesh and is just an awesome looking beast. It seems that plenty of shrewdies are very keen on him indeed. Having been invited to lunch at Rose Bay, I was a bit surprised to see a bag piper in attendance, although there were plenty proclaiming their Scottish heritage by late afternoon. 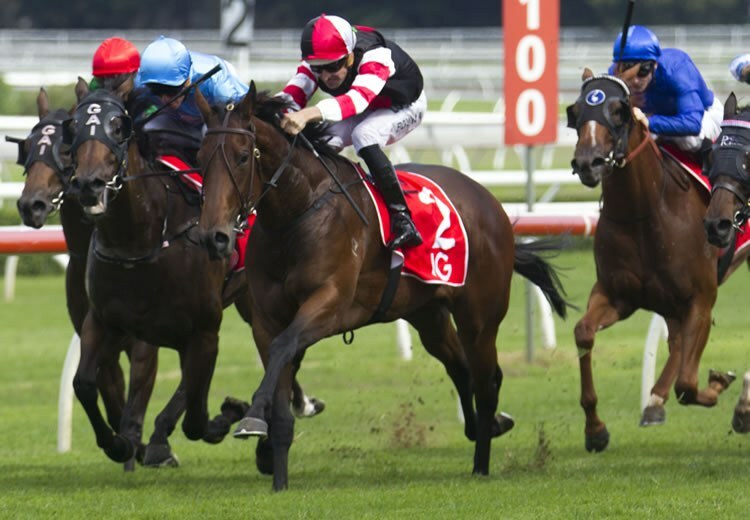 Listening to betting tips over lunch can be a risky business, but I take note of Nick Williams’ enthusiasm for his imported stayer Gallante, who had been campaigned by Coolmore in Europe, in the Sydney Cup and make a mental note to have a bet. Saturday April 9thThere’s no doubting the buzz that ‘The Championships’ have created around racing during the Autumn in Sydney. With so many international visitors in town, it’s a fantastic showcase for the great spectacle that is Australian racing. Fantastic to see a big winner for Ray and Susie Montague with Robbie Laing pulling off the training performance of the year to get Fastnet Rock filly Missrock back from a broken pelvis to win the G3 Percy Sykes for two year-olds. The likeable Japonisme joins Winx as another Coolmore graduate to win during ‘The Championships’ while we’re all chuffed to see Ciaron Maher win the inaugural Coolmore Legacy Stakes – hopefully he might buy a new car now! As you can imagine, I produce my loudest roar of the day with Gallante crosses the line in front under a peach of a ride from Kerrin McEvoy. 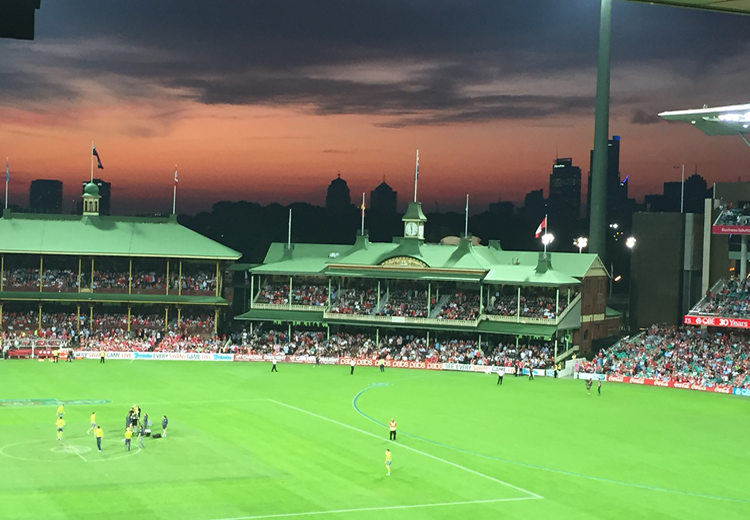 After the races, I spend the evening mulling what might have been by watching the Swans take on GWS at the Cricket Ground. I’m not sure I’d have had the energy to run around for 4 quarters tonight after such a busy week!